Italian police seized more than 6 tons (6.6 US tons) of hashish from a sailboat off the coast of Sicily, customs authorities announced on Saturday. The drugs were loaded inside a 12-meter (39-foot) Spanish-flagged pleasure boat which was stopped about 160 kilometers (86 nautical miles) south of the Sicilian coast. Authorities valued the load at about €60 million ($68 million). Spanish authorities originally reported the boat as suspicious. Three Spaniards were arrested on board. 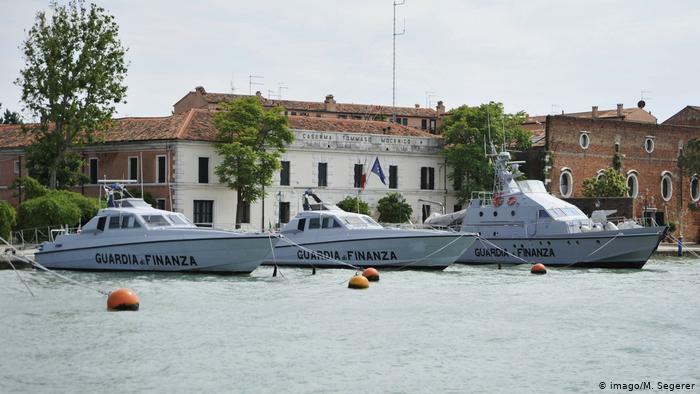 The Guardia di Finanza (GDF) police corps said Spain, France, Italy and Greece had been on high alert against Mediterranean Sea trafficking of hashish from Morocco "for some time." This week's bust was the fifth such interception in the waters between Sicily and Tunisia since last summer. Italian news agency Ansa reported the operation was coordinated by the Central Organized Crime Investigation Service. Video released by the customs authority showed speed boats intercepting the sailboat. Officers were seen unloading dozens of tightly-packed bags of hashish, branded with different logos including Rolex, Mercedes, S17 and R25. The GDF reported several major hashish busts last year, many in similar circumstances. In November, a Dutch-flagged sail boat was found with 11 tons of Moroccan hashish on board near Sicily. In August, 20 tons of hashish was found on board a Panama-flagged ship, also near Sicily. In June, 10 tons of hashish was taken from an ocean trawler. Italian police have been cracking down on Mafia groups in recent years, claiming particular success against the influential 'Ndrangheta group.